The SAA reportedly entered into the Al-Ajrawi farm south of the Tabqah airbase after repelling an attack by ISIS fighters on its new positions in the Raqqah province. Earlier this week, the SAA liberated the Al-Thawra oil field, the Al-Thawra housing and pumping station. According to pro-government sources, the SAA may continue its advance via the Athria-Rusafa-Raqqa road. If government troops reach Rusafa, they will control the northern road to Deir Ezzor. The Syrian Democratic Forces (SDF), backed up by the US-led coalition’s airpower, artillery units and military advisers, have taken control of Al-Sinaa district in the eastern part of the ISIS-held city of Raqqah. The SDF also began storming Al-Batani and continued clashing with ISIS in Al-Bared. Separately, the SDF has captured Hawra Jrayat village and surrounding areas in the Raqqah countryside. In Daraa city, the SAA and its allies further advanced against militants in the Nazheen camp and captured about a half of it. Clashes were also reported in Al-Manishiyah and Dara’a Al-Balad districts. In the countryside of Palmyra, clashes between the SAA and ISIS continued near the Arak field. Following the previous gains, government forces captured the SyriaTel Hill that allows to dominate over the nearby positions controlled by ISIS. 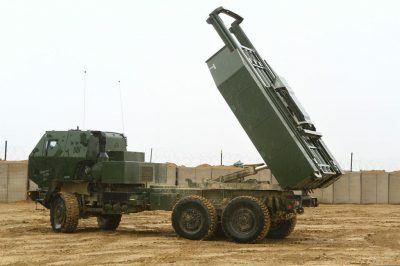 The Russian Defense Ministry confirmed on Thursday that the US military has deployed two High Mobility Artillery Rocket Systems (HIMARS) from Jordan to Syria. The ministry added that these systems cannot provide a support to the US-backed Syrian Democratic Forces storming the ISIS stronghold of Raqqah. Instead, they pose a direct threat to government forces. “The US-led anti-Daesh coalition has several times already attacked Syrian government forces fighting Daesh [ISIS] near the Jordanian border. It is possible to assume that similar strikes could be continued in the future, involving HIMARS from now on. So what objectives is the US pursuing in Syria and whom are the US servicemen fighting there?” the statement read.